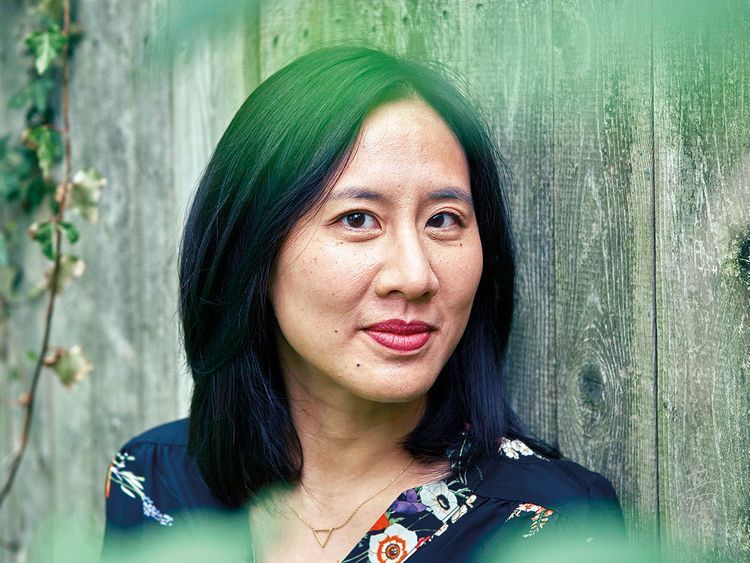 Novelist Celeste Ng — known for her literary page-turners that disassemble family dynamics, and parse suburban life and attitudes about race in America — can fix anything: leaky faucets, her son’s windup toy, a dishwasher and even her clothes dryer once. “Mostly, if there is something that has broken, I can at least take it apart and figure out what the problem is,” Ng said during an interview in Cambridge, where she lives with her husband, a lawyer, and their 8-year-old son. Now she is turning her preternatural competence to publishing at large. Ng, 38, has become a singular force of literary activism, championing the careers of fellow writers who need a boost. In addition to tweets in which she vanquishes trolls; shares personal tidbits (plots of dreams, her son’s artwork); and posts political calls to action; Ng often uses her enormous Twitter influence — 95,000 followers and counting — to amplify the voices of those she thinks deserve to be heard. Ng, whose novels have combined to sell more than 2.25 million copies across all formats, is poised to reach even broader audiences. Her 2014 debut novel Everything I Never Told You is headed for the big screen, in a film that will star Julia Roberts. And Little Fires Everywhere, developed for television by Reese Witherspoon’s production company, Hello Sunshine, which acquired the rights to the novel months before the book’s 2017 publication, sold in a bidding war to Hulu last spring. Witherspoon and Kerry Washington have teamed up to produce and star in the adaptation. “Celeste has written a collection of modern women (and men) whose characters embody so many of the struggles and complexities of this time we are living in,” Washington wrote in an email. Witherspoon, a fan of Everything I Never Told You, first heard about Little Fires Everywhere — which she called, by email, “an incredible mystery that unravels with real character exploration” — when she met Ng at a cocktail party in Southern California in 2016. She subsequently made Little Fires Everywhere her September 2017 book club pick. Whitney Scharer, a member of Ng’s writing group (the Chunky Monkeys) and the author of the forthcoming debut novel, The Age of Light, said that Ng has “hit the literary jackpot.” And she seems determined to share her winnings. Ng “has acted with the generosity of a patron saint,” says R.O. Kwon, author of The Incendiaries. The two writers met at the Bread Loaf Writers’ Conference at Middlebury College, in Vermont, in 2009. She “read my book early and blurbed it, which I know is a significant favour to ask of anyone,” Kwon said. The irony is that nearly 20 years ago Ng had a semipro sideline as a crafter. Around 2000 she set up a website to sell her meticulously sculpted clay miniatures to collectors. One of her most unusual commissions? A plucked turkey, its head positioned to dangle off a tiny table. Ng’s more conventional professional plans shifted after her graduation from Harvard University in 2002. 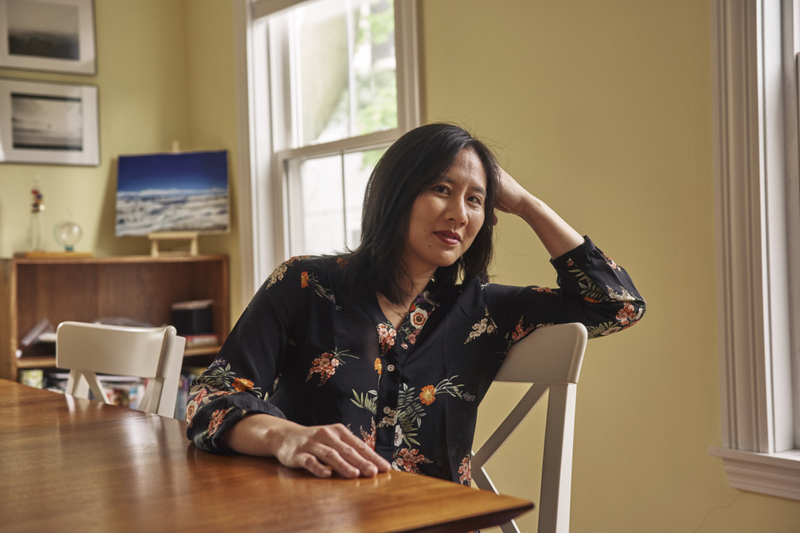 A sobering brush with textbook publishing and an inspiring fiction writing class at the Harvard Extension School clarified Ng’s determination to pursue a writing career. At graduate school at the University of Michigan, she met her agent Julie Barer and left school with most of a short story collection and two nascent chapters of Everything I Never Told You. In the six years between the end of graduate school and the 2012 sale of her first novel, Ng started keeping a colour-coded document detailing each time she submitted a story to a literary magazine. She referred to it as the Spreadsheet of Shame. The file is still active but marks an era when Ng was mired in the struggle to tame the multiple timelines and points of view in her first novel. Almost five months after publication Amazon helped provide the answer. “We picked this book out of relative obscurity and watched with enormous pleasure as it became the mega seller that it is,” said Sara Nelson, the former editorial director at Amazon and now executive editor at Harper, an imprint of HarperCollins. In 2014 Nelson and her editorial team selected Ng’s debut — over Anthony Doerr’s All the Light We Cannot See — as their pick for the best book of the year. “Everybody who read Everything I Never Told You loved it. There was no debate,” Nelson said. The boost from the e-commerce giant launched a promising book into the stratosphere. In 2017, under the editorial direction of Sarah Harrison Smith, Amazon picked Little Fires Everywhere as their No. 2 book of the year, but publishing had already bought into Ng’s vision: Little Fires Everywhere sold for seven figures. As her success has grown so has the currency of her imprimatur. Ng is wary about overstating her own influence.